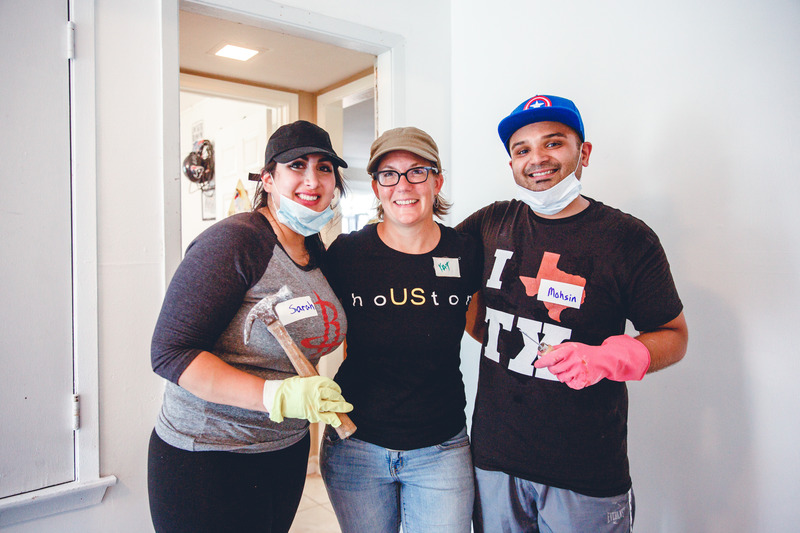 When Sarah Samad (left) and Mohsin Karedia (right) decided to postpone their wedding in the midst of Hurricane Harvey, their wedding planner Kat Creech (center) helped them engage their family and friends in volunteer relief efforts to support local residents affected by the storm. 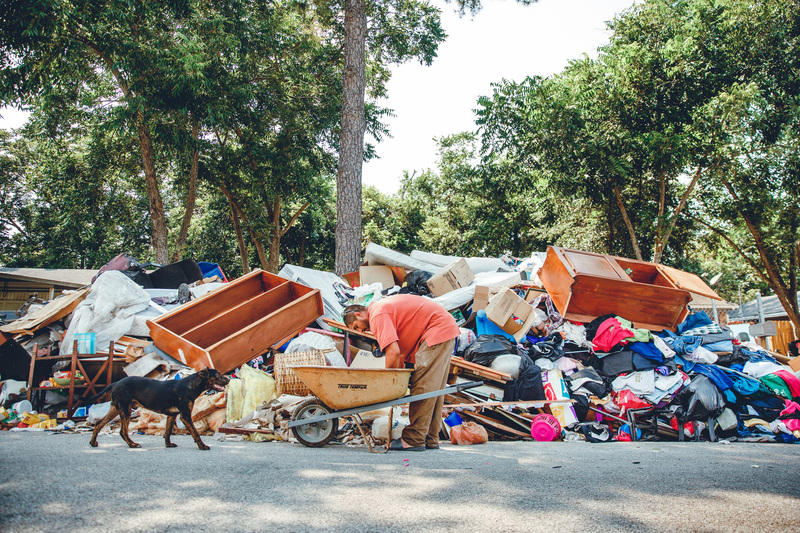 Debris and household items removed from mucked homes by Recovery Houston volunteers. Wedding planner Kat Creech was watching the development to Hurricane Harvey closely, worried about an upcoming wedding scheduled for Labor Day weekend. With doubts about the weather, Kat and the couple, Sarah Samad and Mohsin Karedia, decided to postpone – knowing that they wouldn’t truly enjoy their wedding while so many people were suffering through the impact of the storm. And at Kat’s suggestion, Sarah and Mohsin invited members of their wedding party, family and friends to instead come together to volunteer in support of families impacted by the flood. 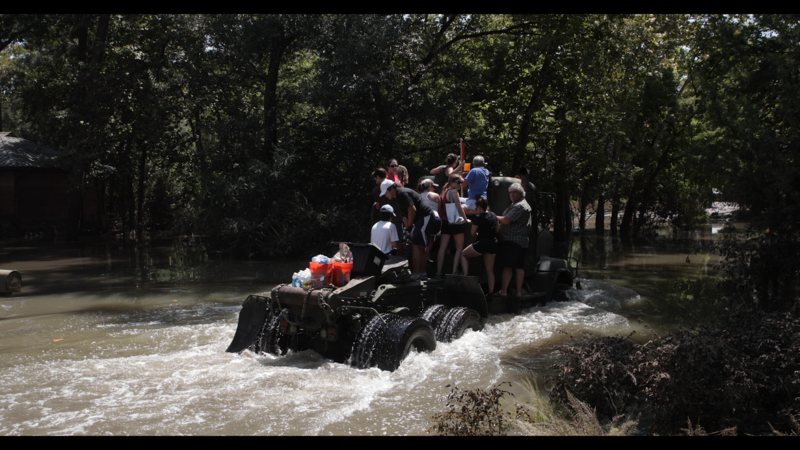 Kat quickly shifted her focus from planning weddings to coordinating relief efforts, and Recovery Houston was born. What started as a Facebook group grew into a movement, with hundreds of volunteers. In just one week, an estimated 600 volunteers helped clear more than 120 homes. The group has now blossomed into a nonprofit organization; they’ve cleared more than 200 homes and are preparing to start the recovery and rebuilding process. We spoke with Kat to learn more about her efforts to help people affected by the storm. Read the full story on the Points of Light blog.